We're all constantly hearing about the Next Big Thing when it comes to our health. With endless opportunities at our disposal, we've seen tons of fads come and go that swear they'll help our mind and body. Juice cleanses, cult fitness classes, the list is endless and pretty confusing. 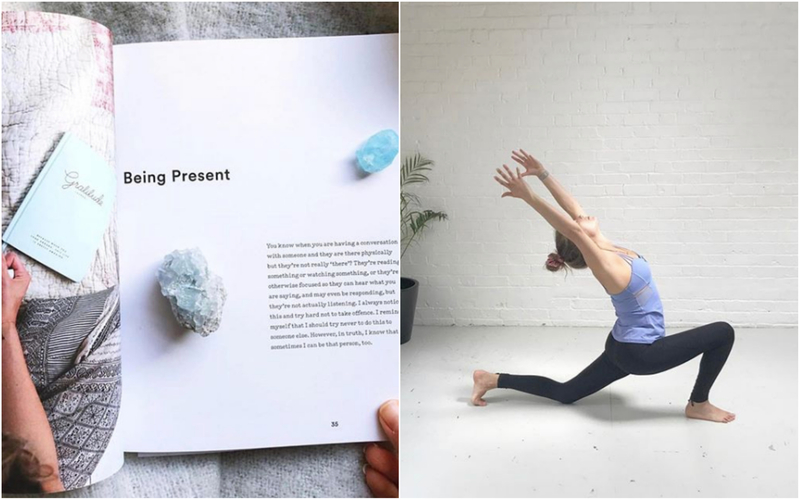 We sat down with London-based yoga teacher, cookbook author and wellness pioneer Annie Clarke to get tips on what really works. Founder of the blog and Instagram Mind_Body_Bowl, Annie is one of the most influential names in the healthy living and balanced lifestyle industry at the moment. Here she muses on the new wave of wellness and gives advice on how to take care of both our minds and bodies. What was the ‘aha’ moment that inspired you to get into health and wellbeing? I never planned to get into it as a career, it was just something that became more and more part of my own life and then the lines blurred and it became my work too. I think I got to the point in my own lifestyle where I was just fed up of feeling rubbish, terrible digestion, poor energy and a critical approach to the way that I tried to look after my body. I realised that no one else had the answers about how to make me feel good. I was going to have to do the work myself and learn to listen to the guidance of my own body and mind. So that's what I did! What are the key values behind Mind Body Bowl? Balance and wellbeing are not one-size-fits-all. To truly get the best out of our lives, I think we must nurture our inner landscapes - so our bodies, our minds, our understanding of ourselves and adjust our senses inwards. Its a continuous process of learning, unlearning, relearning and being adaptable in our practices. Be kind to yourself, to others, to the planet and always make decisions based on what you know and feel right now. You will always know more than you did yesterday and less than you do tomorrow, so do what you can now and don't be scared to change your mind when new knowledge or insight guides you to that. I trained as a yoga teacher in 2015. I spent a month in India thinking it was the last opportunity for a little while to take time for myself, having no expectation of what it would lead to. But I knew as soon as the training began that I felt more at home teaching than anything else I had ever done. So when I returned home, I began teaching straight away and have never looked back. I trained in ashtanga & vinyasa flow, then have gone on to train in mandala vinyasa, yin yoga and more recently explored embodied flow too. I love learning but a lot of that comes from actually being in my own practices, and teaching others of course. It's pretty cool to think that there is always more to learn. Always. 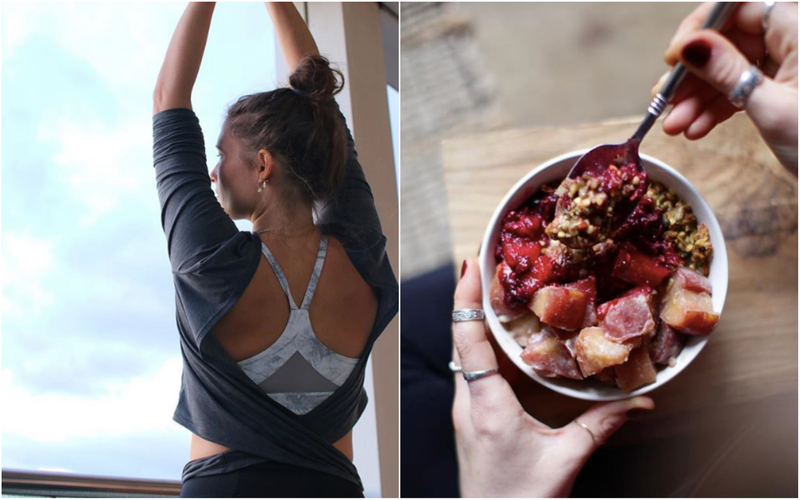 Did your passion for food come through your yoga journey? Do you have any signature dishes? My journey into wellbeing began with food before yoga and other aspects took the lead. I had to be a lot more creative back then because firstly, my body was a lot more sensitive to certain foods and secondly, because it was much harder to find alternatives such as nut milks. 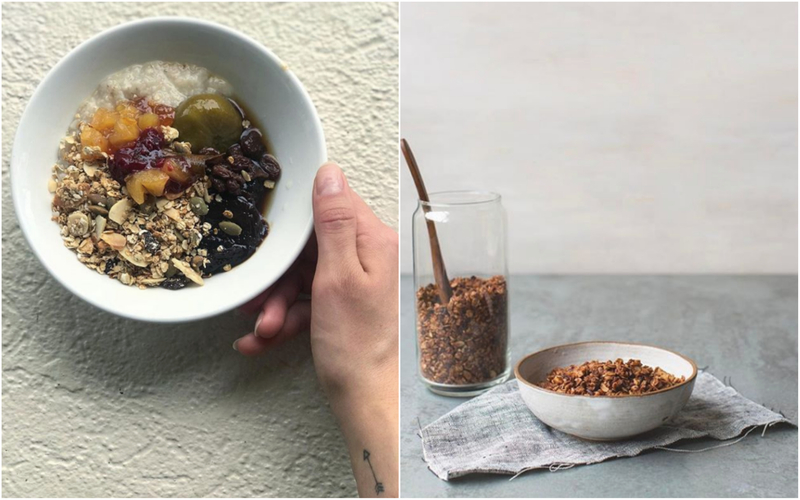 "Now it is easy to make changes to your diet, especially when you realise you don't need fancy ingredients." I find that these days I eat much more simply than I did a few years ago when I had more time in the kitchen but I still have some favourites that I go back to. Before I taught yoga, I used to produce granola on a small scale until I couldn't keep up with the orders any more. I still have people asking when I am going to start selling it again so I guess that's the signature Mind Body Bowl recipe, or at least the original! What are the most impactful changes you can make food-wise? Buy what you need. Eat what you need, and waste as little as possible. I am the first to admit that I regularly eat more than I need to, I try not to buy too much when I shop. It is a bit less convenient to have to make additional trips but I save a lot of wasted food and I eat more mindfully that way. You talk a lot about wellness on your blog - how can we best look after both body and soul in our fast-paced reality? Find the things that work for you. Don't worry about what anyone else is doing. You know what you need if you listen to your body close enough, it will tell you. It's easy to get caught up in what everyone else is doing and get overwhelmed by how to fit that in but realistically that probably just creates more stress! Find the things that work for you and make the time for them. I try to do them first thing in the morning. If that means getting up early, its always worth it. Can you tell us about any new projects you're working on? I am bubbling with ideas at the moment and working away quietly to try to work out which ones to move forwards with. I just launched a new project called Can We Just Ask with my boyfriend. We've just hosted our first event. It's all about starting conversations that matter and its exciting to be working on something different, even if its a continuation of Mind Body Bowl in some ways. I also have retreats coming up which I always love! What are your favorite activewear brands? I love lululemon. I was drawn in originally by the quality of the clothing and that you could get away with wearing their activewear in between classes (before the activewear trend made that normal). I also have a friend who have created an ethical yoga brand called Studio Kolektif based in Bali which I love too!